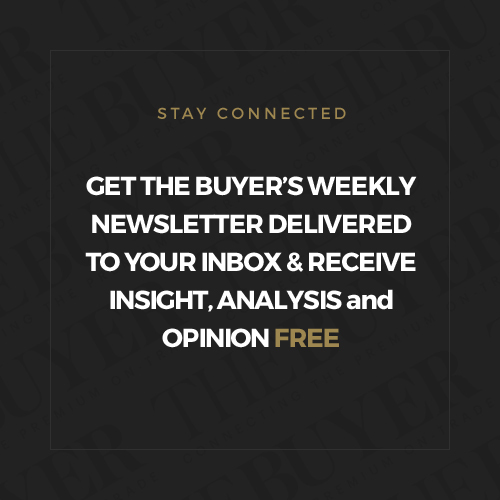 The Buyer hits the road and travels to Germany’s Rhinegau and Mosel regions, visiting a number of wineries that are having to cope with both changes to drinking habits and also changes to the climate. Justin Keay also notes how curiously quiet everywhere is. 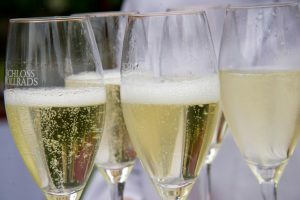 Younger drinkers in Germany are apparently being turned off Riesling because of the acidity and drinking Pinot Gris and Pinot Blanc instead. It’s mid summer in the Rhinegau, Germany’s oldest and most historic wine region. Buses unload Chinese tourists onto the banks of the Rhine in Rudesheim, the town at the region’s heart. Hoards gather for photo opportunities in Drosselgasse, a narrow street filled with kitsch and restaurants serving schnitzel and beer. 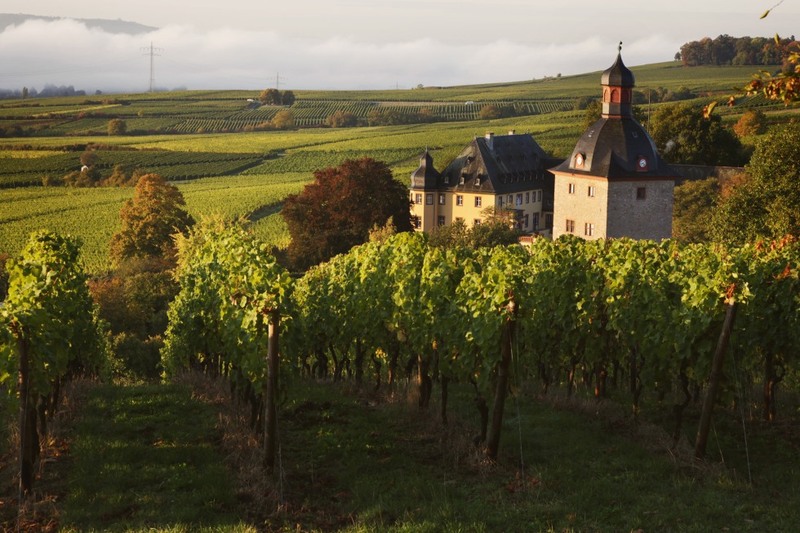 Wine shops offer samplings of the local Riesling that first put Rhinegau on the map. But despite the efforts of producers to encourage consumption, I even pass a bar exhorting patrons to “Save Water, Drink Riesling”, precious few of the visitors seem to be serious wine buffs. And, compared say to the Douro to which many compare the Rhine for its geographical similarities, wineries here seem curiously empty. Time of year or changing fashion? “We are finding that a lot of young people in particular do not like the acidity that is such a key part of dry Riesling,” says Stefan Seyffardt, vineyard manager of Domaine Steinberg, one of the many wineries that form part of Kloster Eberbach. 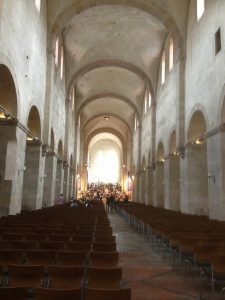 Eberbach is the 13th century Cistercian monastery made famous by the film Name of the Rose but which is also the name of the state-owned umbrella group that produces some 2.5m bottles of wine a year, making it the largest estate producer in Germany. Their solution? To make more off-dry wines in the feinherb style and using malolactic to reduce the acidity, but also taking more radical steps. 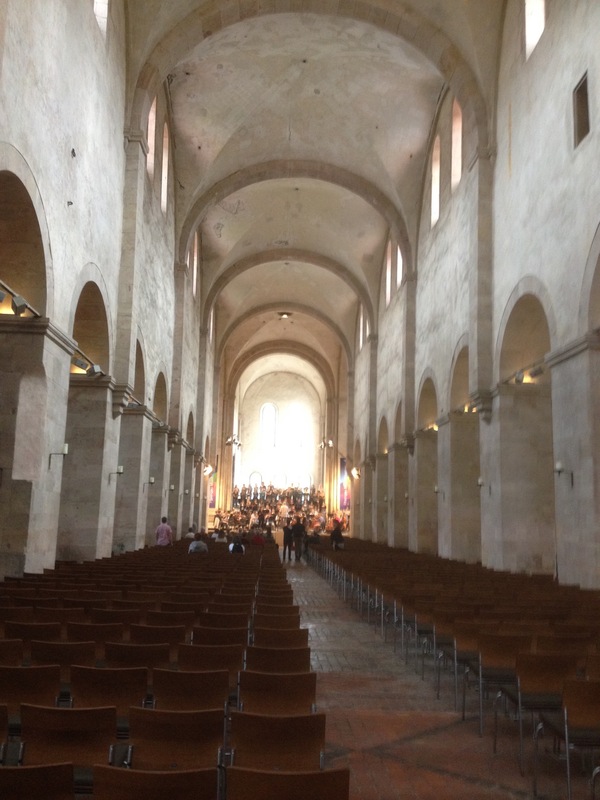 Kloster Eberbach has such a wide range of wines that such diversification is not a problem. It starts with their sparkling wines, or sekts, made here in the Champagne style and coming in three varieties – made from Riesling but also Pinot Blanc and Pinot Noir. 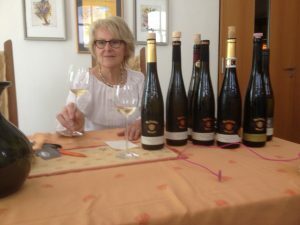 A tasting of a selection of the wines from Eberbach shows that variety and quality are key here. Particularly worthy of mention is a moreish, inexpensive Pinot Gris made by Domane Bergstrasse (the Heppenheimer Centgericht 2915 Grauburgunder Trocken) and some delicious higher end Pinot Noirs. Climate change is also playing a role – the estate made its first ever Cabernet Sauvignon, something that would have been unimaginable even six or seven years ago. “I’m a big fan of California and just wanted to see what we could do here,” Seyffardt says. The result is a well-made, medium bodied wine with all the Cabernet characteristics you would expect. 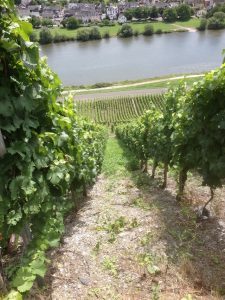 Just down the road, two of the Rhinegau’s other historic producers are sticking with tradition, and with Riesling, the only variety each grow. 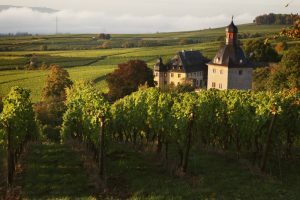 Schloss Vollrads and Schloss Johannisberg both vie for the honour of being Germany’s first producer of Riesling… who’s right? Hard to say but Schloss Vollrads insists it’s been making Riesling since 1211 and have the documents to show it. 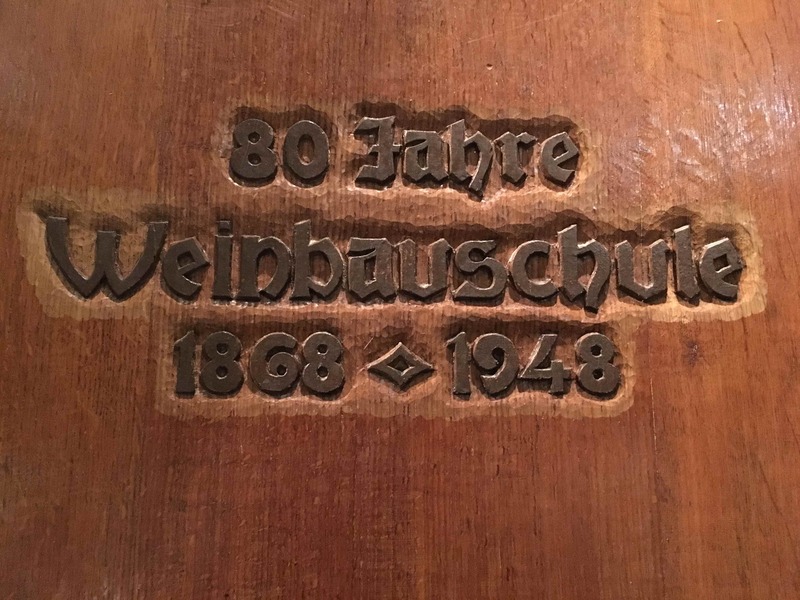 Today, some 20 years after the suicide of the last count of the Schloss, Erwein Count Matushka-Greiffenclau, the wines are probably as good as they ever were, especially the quality Kabinett Riesling for which Vollrads is famous and which celebrated its 300th anniversary last year. Likewise Schloss Johannisberg, which bills itself as “The first Riesling wine estate of the world” and after the Battle of Waterloo was the property of the Von Metternich family, given to them in gratitude for their role in re-establishing normality after Napoleon. Tatiana, the last of the family line, died 11 years ago since when this historic property has belonged to the Henkel group, famous for their sparkling wine. This is a beautiful and historic place but the wines struck me as solid rather than remarkable. 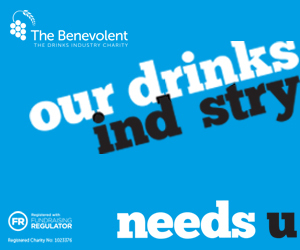 Incidentally the alcohol levels of around 11-12%, make them ideal food wines, fitting well with the trend towards lower alcohol. Much more impressive were the wines made by one of Germany’s leading female winemakers Theresa Breuer at the Georg Breuer winery in Rudesheim, a truly eclectic mix of wines made in a modern style that would covert any doubter to Riesling’s appeal, though the Pinot Gris and Pinot Noir were also pretty good. 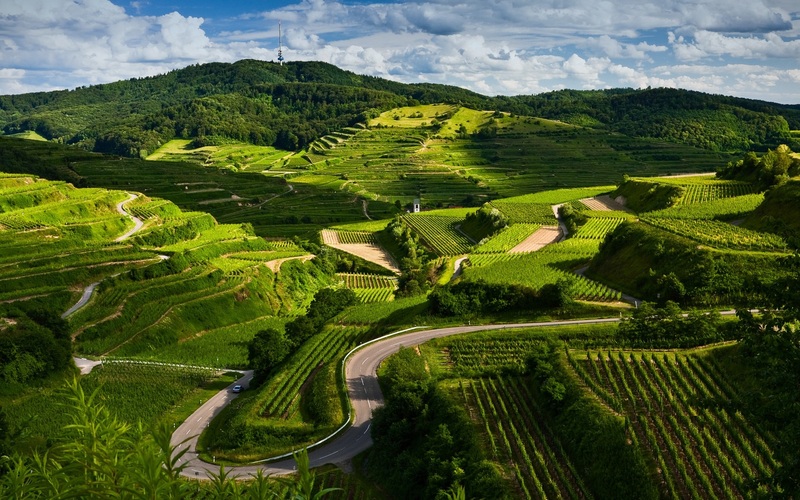 Often dubbed one of the world’s most beautiful wine regions, the drive between Koblenz southwards to Trier is indeed breath-taking, with lots of tiny villages dotted along the (very) windy river, looking up to some of the world’s steepest vineyards. 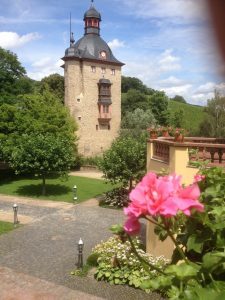 But although the main towns – bustling touristy Bernkastel-Kues and the much quieter Traben-Trarbach – attract a fair share of visitors, the wineries themselves seemed even quieter than those on the Rhinegau. But the two I chose for my rapid visit were well worth visiting. 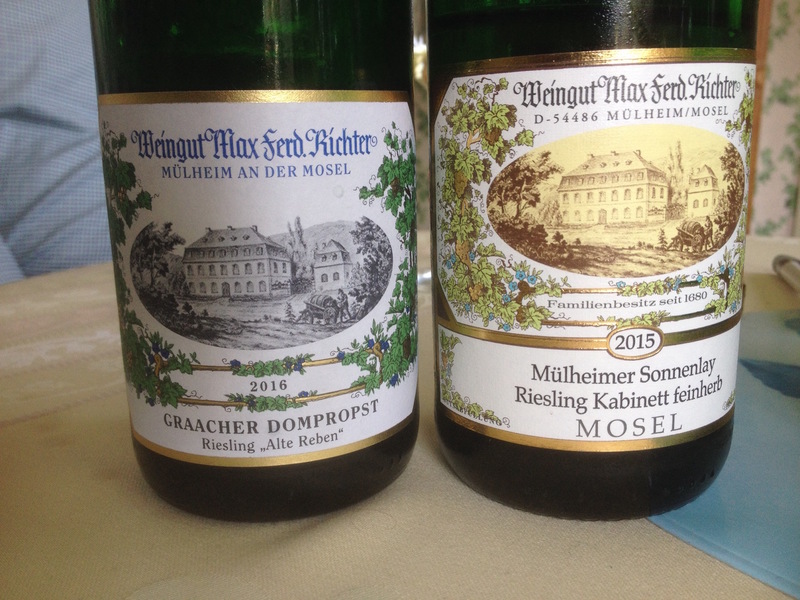 Just about all wine guides to Mosel reference Max Ferd Richter and with good reason. 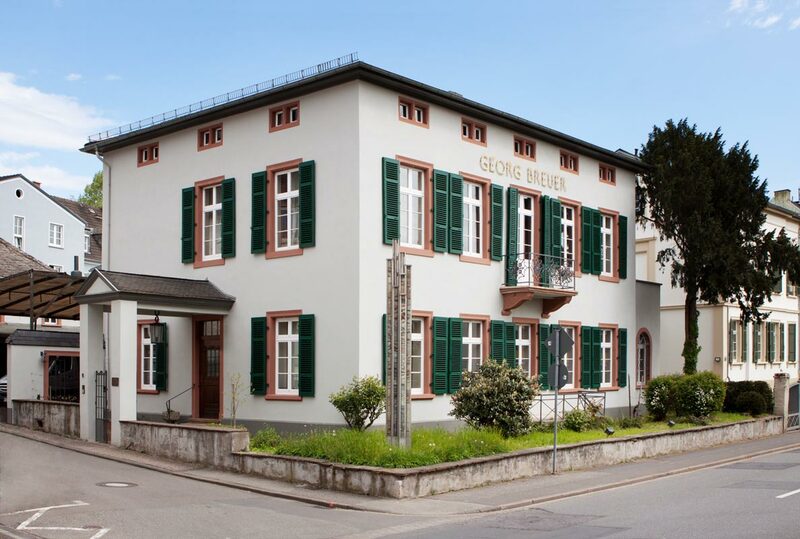 Based in picturesque Mulheim, the historic purpose built winery is a reassuring throwback to an older, kinder age. So too is Dirk Richter, the current head of this historic producer, which can trace its origins back to 1680 and has been exporting to the UK since 1730, with Charles Taylor the main on-trade agent for the wines. This is a large producer by Mosel standards, making between 250,000-300,00 bottles a year, but quality remains paramount. The focus on off-dry wines remains unwavering – this is not the sort of producer that bows to changing fashions, as the defiantly old-fashioned label affirms. 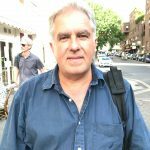 As the bottles between us grow in quantity and in quality, Richter proves an engaging host, voluble on the many absurdities of Brexit and its possible impact on exports, but also on what makes his wines so distinct. 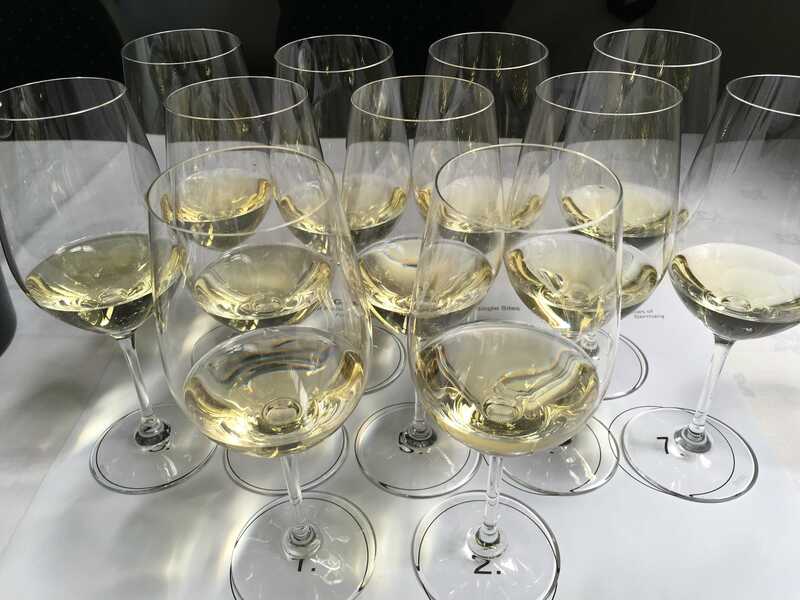 “Good Riesling requires precision and it is important that this is reflected on the label: the longer the words, the more important the product,” he says. Some 90% of its wines are Riesling (the remaining 10% Pinot Noir and Pinot Gris) but Richter says he has just planted a vineyard with historic native varieties. “Climate change makes many things possible,” he says, adding however that the focus will remain on the off-dry wines that made Mosel and his own winery so justifiably famous. 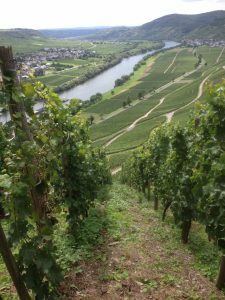 “Because of the mainly slate and stone soil, Mosel wines just don’t have the acidity and mineral dryness that Rhine wines do – typically, ours are rounder and more spicy,” he says. 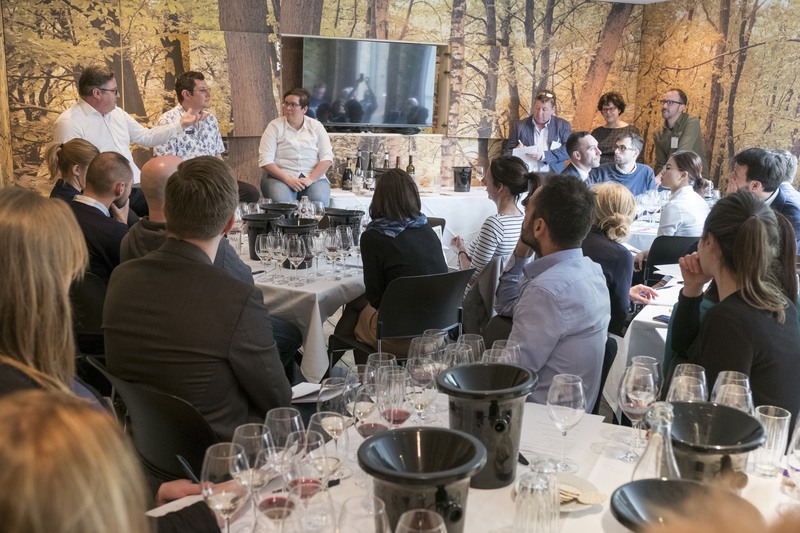 This is confirmed by a tasting of some of his most distinctive wines starting with the Graacher Domprost Kabinett 2016, rich and luscious with a rounded mouth feel, and ending with the Erdener Treppchen 2015, a delicious spatlese checking in at just 7% alcohol. Very moreish indeed. So too are the wines made by Paulinshof, located in a former monastery in the stunningly pretty village of Kesten. This winery which produces around 85,000 bottles (making it small to medium sized by local standards) focuses more on trocken styles although its sweeter wines are also excellent. Its key wine which is made in the best years with noble rot is the Brauenberger Kammer Riesling, straw yellow in appearance but with lots of depth and complexity, flora flavours vying with spice and well integrated fruit. Delicious, and still only 12%. No wonder historical figures including, apparently President Thomas Jefferson, loved these wines so much. 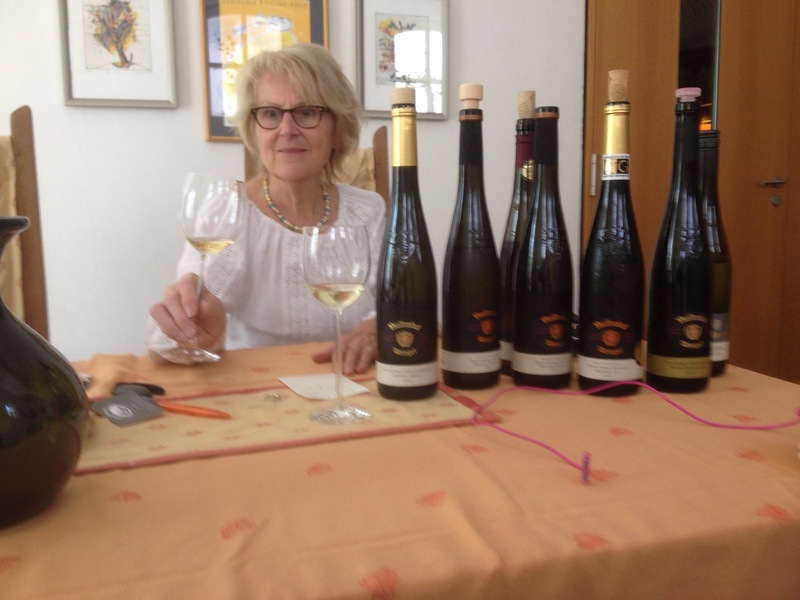 Before tasting a vertical of this remarkable wine, owner Christa Jungling took me to another ‘vertical’ – the remarkably steep Brauenberger Kammer vineyard, where only Paulinshof grows grapes. What makes this plot so special, and famous, is that it has its very own micro-climate; the vineyard’s exposure to the sun is such that even on only moderately warm days, the slate-stone soil attracts remarkable heat, allowing the grapes to mature so well. “We are very lucky to have this unique vineyard,” says Christa, walking me up the impossibly steep soils. Looking down and across the remarkable views onto the Mosel, and re-evaluating (not for the first time) my views on German wine, I’d have to agree. Paulinshof wines are sold in the UK through Enotria&Coe.